This artist's view shows Proba-2 fully operational in its final orbit. Its front side is continuously oriented toward the Sun, displaying instruments used for solar observation. LYRA (LYman alpha Radiometer) can be seen as the three vertical circles on the right. Just below it is SWAP (Sun Watcher using Active pixel system detector and image Processing), the grey surface in the right bottom corner. In the center of the white panel, we can see the SPC (Solar Panel Concentrator), the two vertical triangle mirrors, and below it, the DSS (Digital Sun Sensor), the yellow grey box with a circular hole. On the satellite's left side can be seen one of its three TPMUs (Thermal Plasma Measurement Units), the circular shape behind the solar panel, and the two extended DSLP (Dual Segmented Langmuir Probe) antennas extending from each corner of the solar array to study the space environment. ESA's Proba-2 celebrates five years in orbit today. From technology demonstrator to solar observatory and now space weather platform, the mission has provided triple value to European scientists. The second PRoject for OnBoard Autonomy (PROBA) mission was launched in 2009 as part of ESA’s programme for proving new technology in space. 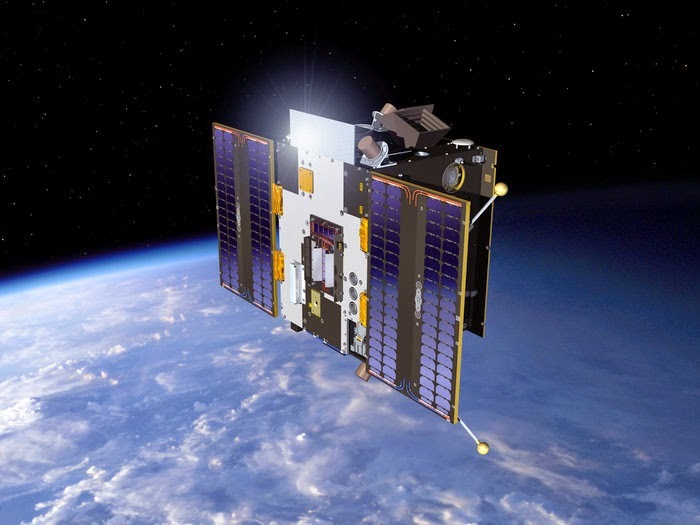 Orbiting at about 725 km, this minisatellite, smaller than a cubic metre, carries four solar and space weather experiments and supports 17 technology demonstrations, providing companies with the flight experience that is essential for European industry to remain competitive. In the first phase of its life, into early 2010, Proba-2 was extremely successful in verifying, under harsh space conditions, new technologies that will make future European missions more capable and efficient. These included a new type of lithium-ion battery, an advanced data and power management system, combined carbon-fibre and aluminium structural panels, and new models of reaction wheels. ESA’s Sun-watching Proba-2 minisatellite shows the aftermath of 18 February’s ‘coronal mass ejection’. Acquired at 0445 GMT, a little more than three hours after the initial eruption, the image demonstrates the Sun’s magnetic field reconnecting in the form of loops. Look down and left of the centre of the solar disc to clearly see this distinctive belt of loops. Afterwards, Proba-2 continued as a solar observatory, a science mission studying the Sun and the plasma environment surrounding the satellite. Information from the four solar and space weather sensors are helping scientists to understand our star’s corona and magnetic fields and the mechanisms responsible for solar eruptions. This information is crucial to understanding ‘space weather,’ the conditions above Earth that can affect spaceborne and ground-based systems and services, or even endanger property and human health. The importance of Proba-2 data for European space weather services meant that ESA’s Space Situational Awareness programme has been managing the mission since July 2013. 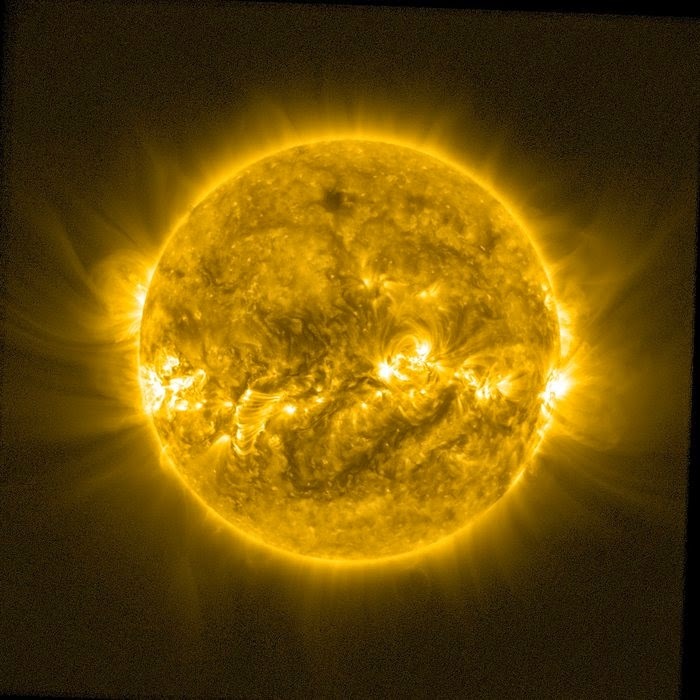 This programme is developing precursor space weather services. In particular, the solar data are used by the Solar Weather Expert Service Centre coordinated by the Royal Observatory of Belgium in Brussels. This centre generates solar weather data products and services for various users throughout Europe, including industry, satellite operators and owners of sensitive ground infrastructure, such as power grids.